This year has been a huge one for Jordan Brand. 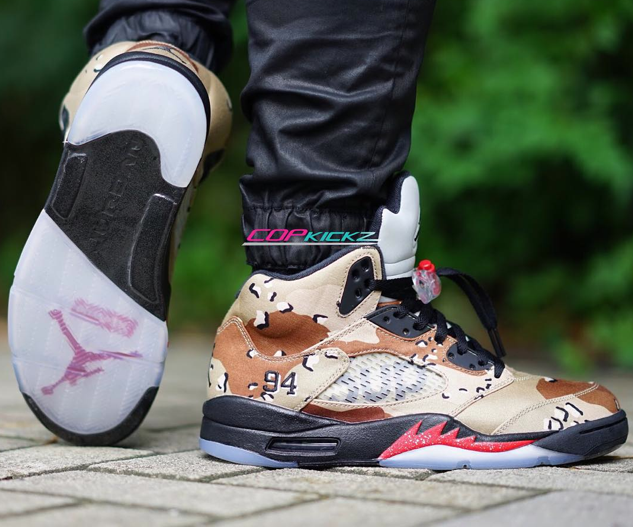 As they continue to celebrate their 30th anniversary, their next big release consists of three different Air Jordan 5 collaborations. 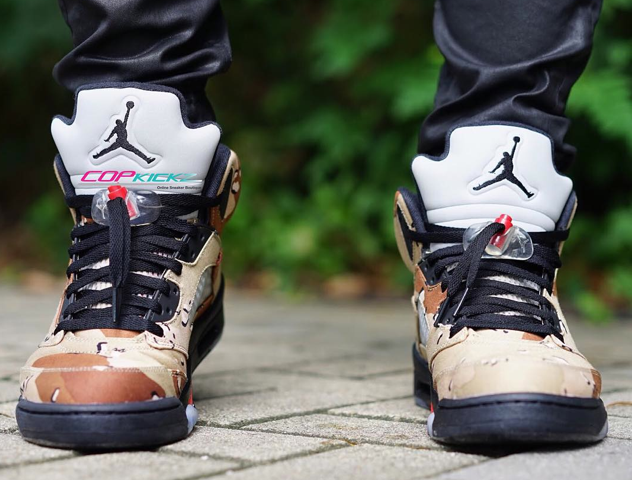 Teaming up with Supreme, the newest collab set to release is the Supreme x Air Jordan 5 “Camo." 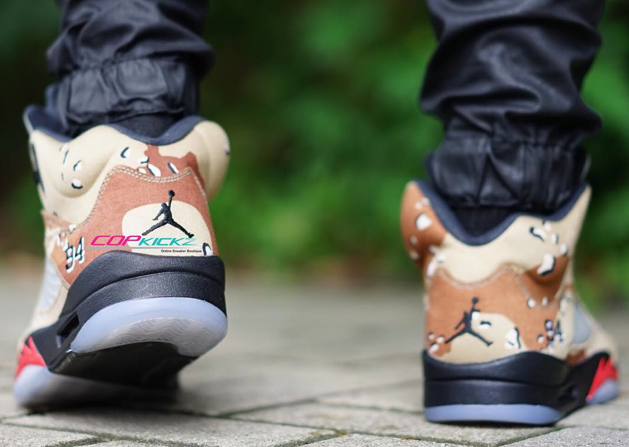 Following the plethora of photos of the upcoming release, on-feet images of the sneaker have finally surfaced for our viewing. If you've been iffy about this release, take a good look at the photos above to help you make up your mind. The Desert Camo facade really grabs your attention as Supreme branding throughout make this a true Supreme collab. 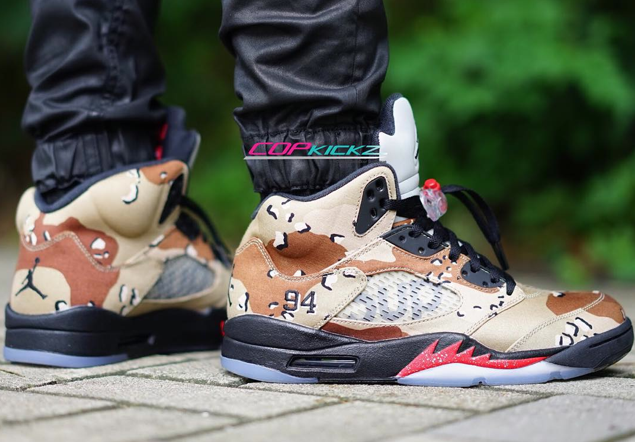 Scheduled to release sometime this Fall, let us know what you think of the Supreme x Air Jordan 5 “Camo” below!